One of the reasons so many of us love our cats is that sometimes we feel we have our own little elusive wild animal curled up in our own living room. So many of their behaviours and traits have evaded being domesticated, and unfortunately for us, showing us that they are in pain is one of those innate behaviours that they frequently hide from us. To show pain is to show weakness and, for anxious creatures who instinctively think that everything is out to get them, that’s a very bad idea. So they suffer in silence. Cats not only hide pain from their owners, but unfortunately often from vets too, making it all the harder to properly diagnose. In a typical veterinary clinic scenario, they have had to endure a five minute race around the bedroom to get stuffed into their carrier, only to be faced with a stressful car journey and then an even more frightening waiting room with all the sights, sounds and smells that are unfamiliar and threatening. By the time they are placed onto the consulting room table, our poor cats are often frozen in fear and highly unlikely to show a complete stranger the vulnerability of a pain response when they touch the “ouchy” bit. And if it is so painful that they can’t hide their discomfort, they might just show that vet a bit of discomfort of their own – via tooth on finger! As cat-only home-visiting vets we are privileged to see our patients within their own environments, generally free from fear and exhibiting their usual behaviours. Yet even we struggle at times to accurately assess a cat’s pain level. As a result, we rely heavily on you as the owner to pick up on these indicators of pain. So what are you looking for? Often if a cat is in discomfort they will move less, sleep more and often groom less too, resulting in a dull or lacklustre coat or perhaps matting of the fur. The pain could be in their mouth (dental) or anywhere else in their body (osteoarthritis or abdominal pain) preventing them from striking the usual flexible yoga postures that we’re used to seeing! They will often stop playing with their toys, and if they have sore joints maybe stop jumping up onto beds and furniture or stop climbing up the stairs. 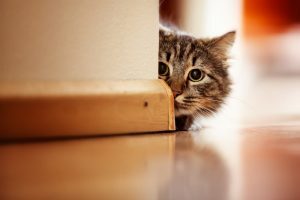 These changes may be subtle – your cat may take the “scenic” route and so you may not notice straight away. With some cats the only change may be that they start to sleep in a different place to usual. They may start to seek heat (underneath a radiator for instance), spend more time indoors or perhaps start to refuse using the catflap, preferring to wait for you to open the door for them. Some cats may stop interacting with you as much, become easily irritated or start to resent grooming or stroking. Other cats do the opposite and seek comfort from their owner – becoming clingy or vocalising more. Are they going to the toilet less than before, taking longer or maybe even defaecating or urinating outside the litter tray? If your cat has back pain then posturing to pass faeces or urine in a high-sided litter tray or digging into hard ground in your garden is painful so they will naturally find a way around it – go less often or go somewhere else. Changes in your cat’s eating habits may be an indicator of pain but remember, painful cats will still eat! Is your cat eating less, losing weight or losing muscle strength? Have they changed their eating habits – will they now only eat wet food and refuse dry? Perhaps picking it up their food and dropping it again, grinding their teeth or preferring to chew on one side of their mouth? Or eating their meal in several small portions instead of one longer session because it hurts to lower their neck for that long? 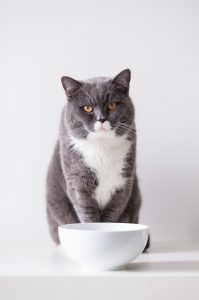 Although eating habits may change, it is incredibly important to remember that cats in pain will still eat and may in fact eat perfectly normally – just because their hips or teeth hurt doesn’t mean they aren’t hungry! They know that if they don’t eat they will die so, like everything else, they just get on with it. Sometimes overgrooming one area of the body may indicate some discomfort in this particular region – is your cat trying to soothe away the pain? 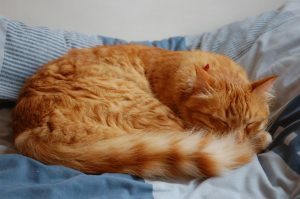 We sometimes see this as the only sign in cats suffering from cystitis for example, where they overgroom their tummy leaving the fur there thin or even bald. So any change in behaviour is significant – even if it’s not obvious, your cat really is trying to tell you something. Some cats will change the way they move and the way they sleep. If you see a kitten sleeping they tend to curl up into a ball with their beautifully flexible spine almost doubling up on itself! Cats in discomfort can sometimes sit in a hunched up position, eyes squeezed shut and with their legs sat very close to their bodies or perhaps with a painful limb held out to the side. They may have a lower head posture and if you look carefully you may see them shifting their weight very subtly from foot to foot, or the tip of their tail flicking. These are all subtle signs that they aren’t feeling comfortable. With osteoarthritis it may take an older cat more time to lie down or get up, and in later stages you may notice a stilted gait or a lameness of the legs. Once the cat stops using those muscles, muscle wasting in one or more limbs can occur. So when you think about it there are many ways your cat may show you they are in discomfort, but remember they may only exhibit one or a couple of these signs early in the process. As vets we will always try and localize the source of pain, but sometimes this isn’t clear and we may opt to trial some painkillers (analgesia) whilst investigating further. It is sometimes only once we give analgesia and you notice a positive difference that you realize how much their pain was bothering them in the first place. It is all too easy to assume that as our kitties get older they may slow down or start behaving differently, but in most cases there will be a reason. Sometimes it will be pain, or sometimes it will be another type of illness. Either way, don’t ignore these subtle early signs, speak with your vet to find out why these changes are occurring. 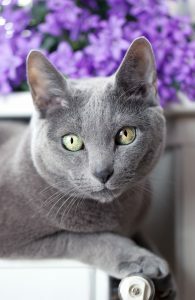 The number of treatment options for cats in pain is growing rapidly and choices range from simple environmental changes and complementary therapies such as acupuncture to a wide selection of safe and effective pain medications that can be given in food or by injection. Whatever you do, don’t let them suffer in silence – they are depending on you!